Kattuyanam is a traditional variety of rice grown in Tamilnadu. Mostly organic farmers only prefer growing this crop. This rice variety is very high in protein, controls sugar and provides strength to veins. Most of the Organic stores in Chennai stores this rice variety. Soak rice with methi seeds and dhal seperately for 5 hrs and grind to smooth batter mix it add salt and ferment it. Heat oil in a pan add saunf roast it add onions saute well add tomatoes, ginger n garlic paste mix well add red chilli powder, coriander powder and cook till tomatoes soften. Add chopped mushrooms, salt, garam masala and add 3/4 cup water and cook till the masala is cooked. Switch it off and add chopped coriader. 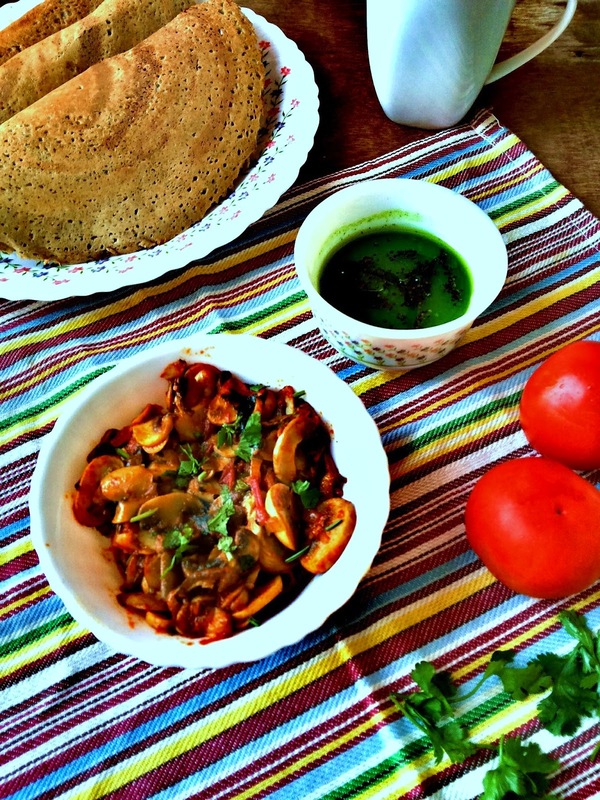 Make crispy dosa and add mushroom masala in dosa and serve hot. Kalan masala dosa looks o wonderful ! 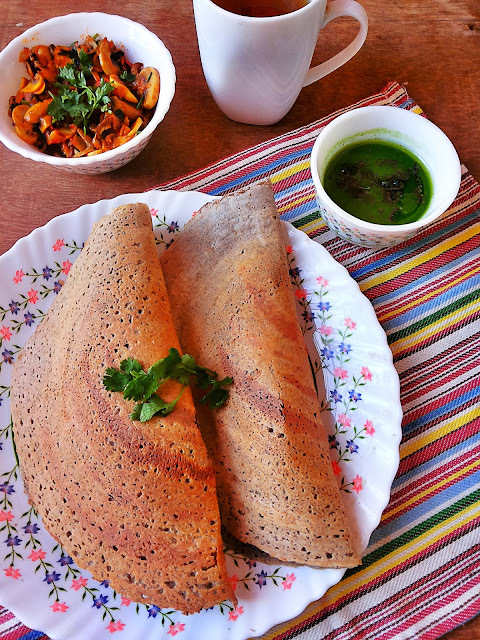 Delicious and healthy to look at masala dosa. Wonderfully prepared. Que rico y hermoso postre una delicia,abrazos.